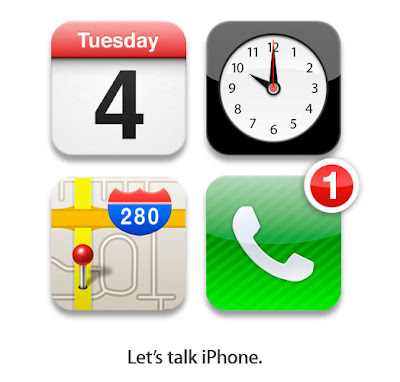 It's official, Apple's CEO, Tim Cook, will take the wraps off of the new iPhone 5 at a media event. The October 4 media event will get under way at 10am PT at Apple's headquarters. BlackBerry PlayBook Next Up for Deep Discounts? 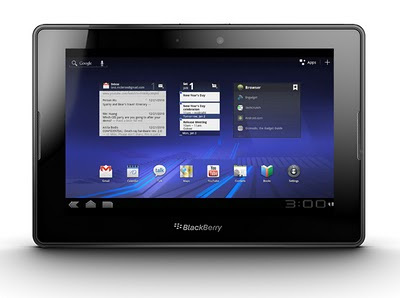 With today's revelation that RIM has only sold 200,000 BlackBerry PlayBooks in the last quarter. During the conference call to discuss RIM's performance, co-CEO Jim Balsillie "noted that the company plans to offer price cuts on the not-so-popular BlackBerry PlayBook in the form of rebates, and an incentive program for enterprise sales." Could the BlackBerry PlayBook be the next tablet that will under go a fireside sale like the now discontinued HP TouchPad tablet? I won't buy another tablet for $300, but I will buy a $99 tablet to play with. According to a new article up on PreCentral, HP is planning to produce a second wave of TouchPads with an order for between 100,000 - 200,000 units. HP has said that this second run of units is intended to fill unexpected customer demand, but DigiTimes, via PreCentral, suggests that this second run it to use up the spares that have been produced, but not yet assembled into TouchPads. "[W]e’ve suspected from the start that there were other forces at play here. True to form, Digitimes claims to have the details, stating that HP’s plan is for the second wave of TouchPads to land in late October (and you thought it was outdated when it launched in July), with somewhere between 100,000 and 200,000 units to be produced. The line about unfulfilled demand is only part of the story – HP also has to deal with parts suppliers who were stuck in a lurch when HP cancelled the TouchPad, not to mention the financial consequences of breaking their order contracts with said suppliers." Are you planning on being one of the up to 200,000 people trying to get in on a TouchPad? I will be because it will be the perfect bookend to my Palm Foleo. Keep checking the HP Online Store to purchase your closeout TouchPad. A pair of iPhone 5 launch rumors suggest that the new Apple phone is on track for an October launch. 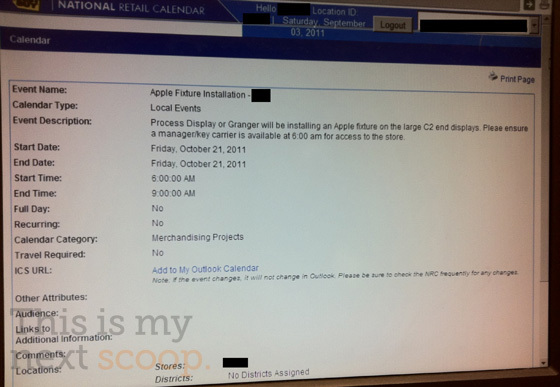 Both This Is My Next and Boy Genius Report have documents suggesting that iPhone 5 will go live in October. BGR has gotten their hands on an Best Buy document that says that the iPhone 5 will become available for pre-order the first week of October. The same notice indicated that Sprint will be included along side AT&T and Verizon when the phone launches. Along the same lines, another Best Buy document indicates that stores will be receiving a new Apple fixture according to This Is My Next. "To be clear, this isn’t a run-of-the-mill installation for the big box — our tipster tells us that the request that a manager be on-hand at 6AM is out of the ordinary (they usually show up at 7AM for inventory), and that a similar arrangement was scheduled for the iPhone 4 launch." It looks like things are still on track for a "fall" release of the iPhone 5 this year. (By the way, "summer" ends on September 21.) 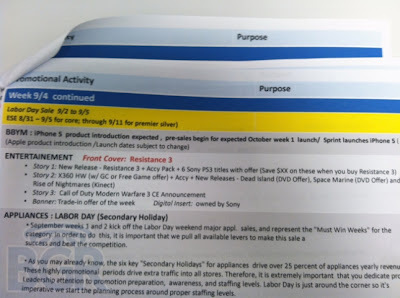 Could we be looking at an end of September reveal, followed a week later of pre-sales, followed two weeks later by a full on AT&T, Verizon, and Sprint retail launch? Let's hope so, because my Palm Pre Original is starting to look really old.